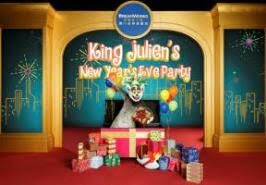 The DreamWorks Experience Winter Celebration at Sands Resorts Cotai Strip Macao returns for the fourth year in a row. Along with all the regular fun that you expect from the DreamWorks All-Stars, this winter will also see a range of festive activities that will ensure you have a very merry and memorable holiday season. Until Jan. 1, 2017, visitors to Sands Resorts Cotai Strip Macao can enjoy a holiday wonderland with activities such as the DreamWorks Experience Holiday Celebration, King Julien’s New Year’s Eve Party with The DreamWorks All-Stars, meet-and-greets at Shrek’s Holiday House, Po’s Kung Fu Feast– a Character Breakfast with the DreamWorks All-Stars, and of course the festive DreamWorks Experience All-Star Parade. Enjoy a sumptuous meal with the DreamWorks Experience Holiday Celebration, including a wide selection of main courses and delicious desserts Characters from the much-loved “Madagascar,” “How To Train Your Dragon,” “Kung Fu Panda,” and “Shrek” films will perform to an array of Christmas carols that will get you in the holiday spirit. There will also be opportunities to take photographs with your favourite characters during the show. Additionally, every child will be gifted a complimentary DreamWorks plush toy!